Rumour No. 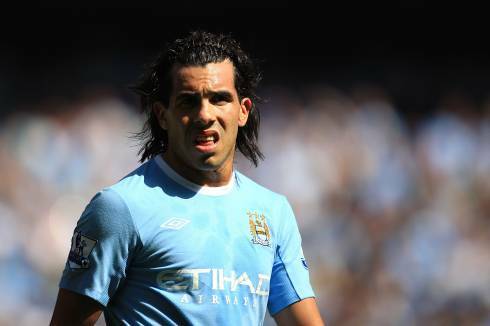 1: Manchester City manager Roberto Mancini has seemingly told his top goalscorer, Carlos Tevez, that he should move on if he’s not happy at the club. Rumour No. 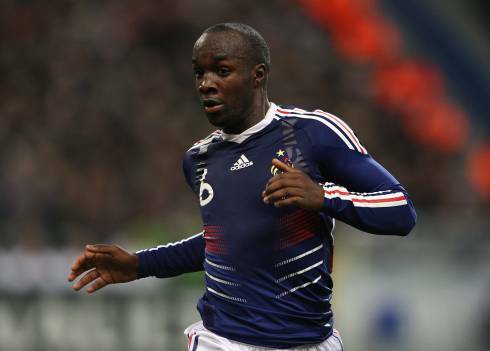 2: Manchester United are planning a move for former Arsenal, Chelsea and Portsmouth anchor man Lassana Diarra, who is currently on the books at Real Madrid. The French international has been in and out (mostly out) of the first team at Real of late, and is apparently looking for a transfer away from the Bernabeu at the end of the season. Liverpool were also said to be interested in signing ‘Lass’ this summer, but have been put off by Madrid’s rather optimistic £17 million valuation. The Best of the Rest: Borussia Dortmund have slapped a whopping £20 million price tag on Arsenal target Neven Subotic‘s head. Blackburn’s Phil Jones is a wanted man. I mean a really wanted man. Arsenal, Liverpool, Chelsea, Tottenham and Man City are all said to be monitoring the young centre-half. Tottenham will face competition from Galatasaray and Atletico Madrid in the race to sign Turkish midfielder Hamit Altintop. Everton are preparing a £1.5 million bid for Genk’s Belgian U21 international midfielder Kevin de Bruyne. Birmingham are hoping to hammer out a season-long loan deal for Manchester United ‘keeper Ben Foster, should Joe Hart be retained by Manchester City next season. Wolves, Wigan, Newcastle, Sunderland and Fulham are chasing AZ Alkmaar’s £5-million-rated forward Jeremain Lens. Stoke are set to axe ‘precious’ strikers Tuncay Sanli and Dave Kitson. Wigan Athletic manager Roberto Martinez wants to extend the loans of Scott Sinclair and Marcelo Moreno for another year. Sunderland will make Paraguay international Cristian Riveros their first signing of the summer, and they also plan to make Derby County midfielder Paul Green their second. Derby themselves are leading the race to sign Kasper Schmeichel on a free transfer from Notts County. A very good post. This information sums up for me just what exactly this topic is focused on and some of the essential benefits that can be derived from knowing about it just like you. A friend once pointed out that you have a totally different mindset when you do something for real as opposed to when you’re simply toying with it. In the case of this kind of topic, I believe you take, or start to go for, a more professional along with thorough approach to what and how you’re writing, which in turn helps you to continue to get better and be an help others who don’t know everything about what you have discussed here. Thank you.